STATE HOUSE – Members of the General Assembly are scheduled to take part in the American Lung Association “Annual Advocacy Day” at the State House Thursday, May 22. The event will be held from 2:30 to 4:30 p.m. in the Governor’s State Room and will include presentations and briefings on the American Lung Association’s 2014 policy priorities to promote healthy air and healthy lungs. Among the legislators scheduled to speak at the event are Rep. Arthur Handy (D-Dist. 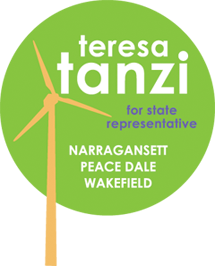 18, Cranston), who chairs the House Committee on Environment and Natural Resources, and Rep. Teresa Tanzi (D-Dist. 34, Narragansett, South Kingstown). The program is being held to allow individuals from the American Lung Association local affiliate office to meet and speak with elected officials. It will include briefings on efforts to raise the Rhode Island cigarette tax to provide funding for tobacco control; prohibiting the sale of e-cigarettes to minors; tobacco-free pharmacies; phasing out wood stoves without EPA certification, and promoting the use of green cleaning products in Rhode Island schools. Am I a District 34 Voter?